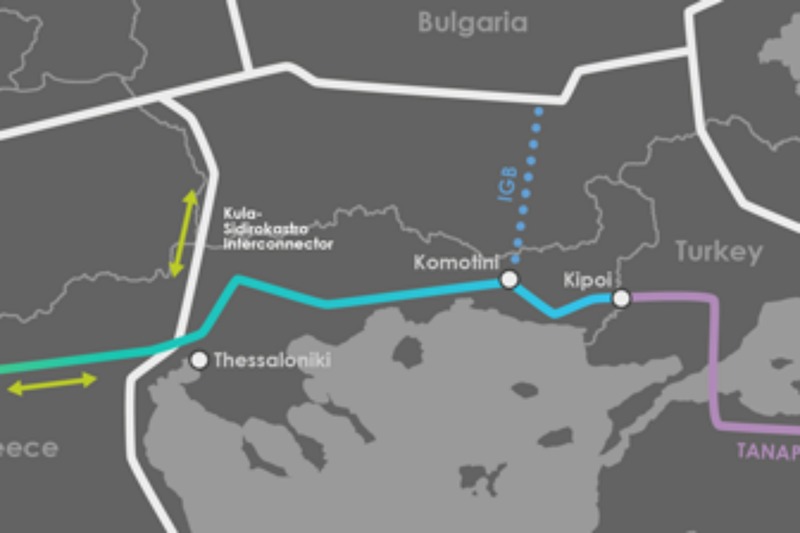 Brendan Devlin, advisor in the Commission’s DG energy, argued that it was unlikely another big pipeline except for the Southern Gas Corridor would appear in South Eastern Europe, because “the markets are too small” in the region. He was speaking at a conference on “post-South Stream”, organised by the Martens Centre for European Studies. Russia has recently cancelled its South Stream pipeline project. It would have supplied gas to Europe via Bulgaria, while bypassing Ukraine. Instead, Russia plans to build “Turkish Stream”, bringing gas to Turkey and then to a hub at the Greek-Turkish border. As the Russian ambassador to the EU Vladimir Chizhov recently explained, Russia had changed tactics. Instead of building pipelines, it would bring gas to the EU borders from where the customers would take it. Russia has no stake in TAP. Its partners are BP, Norway’s Statoil, Azerbaijan’s SOCAR, Belgium’s Fluxys, Spain’s Enagás and the Swiss-based Axpo. Asked by EURACTIV if this meant that South Stream could use TAP to ship some of its gas coming via “Turkish Stream” further West, Devlin said that TAP has a provision for a 50% expansion in the event there is a shipper other than Azerbaijan. The initial capacity of TAP will be about ten billion cubic metres per year (bcm/y), with the option to expand the capacity up to 20 bcm/y. Russia said that “Turkish Stream” will have the capacity of 63 bcm/y. “It doesn’t matter who the shipper is, and we don’t care if it is Russian gas, Libyan gas, Azeri gas. The internal market works like that. It’s the rules that we have set up for Russia, or for Gazprom,” Devlin said. “And [in the same was] as we require them to implement those rules, they are free and welcome to use pipelines in the European Union on the same basis. To the question can they use TAP, from a regulatory and political perspective, the answer is yes,” he added. However, diplomats told EURACTIV that it would take many years before Russia completes the Turkish Stream project. In the meantime, the Azeri gas from the TAP pipeline would have priority finding clients, long before eventual Russian gas arrives to the same pipe.